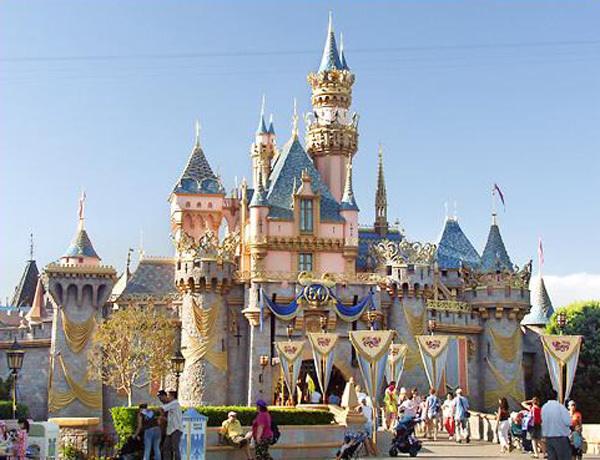 Family vacations in California can give your family a view of this wondrous state from the relaxing beaches to the kids’ world Disneyland. This large state has many options for fun filled vacations. You can have a romantic weekend getaway, a short weekend trip, or even a week or two family vacation. Read on to see some great spots for family vacations in California. The included tips will help you plan the best spots to see as a family. This is one of the best choices for family vacations in California. Many people planning a visit to California often want to go see the “big trees.” When they refer to these trees, they are usually talking about the Giant Sequoia trees in the Sequoia and Kings Canyon National parks. The largest tree, General Sherman is 275 feet tall and is over 2,500 years old. It is truly a very majestic sight. Kids will learn about how fire actually makes these trees grow and adults can relax in their shade. You can also view many different landscapes in the park, such as deep canyons, a wild river and granite cliffs. If you want to see the tremendous 1,200-foot waterfall, you have to go there in early summer when it is the most dramatic. 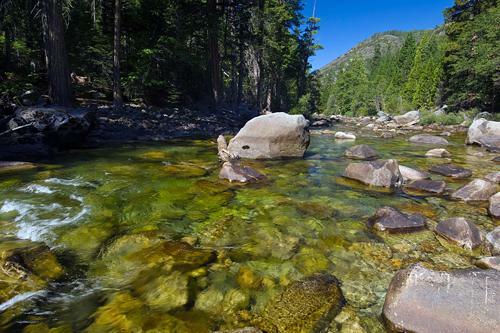 You won’t miss it if you take a 1.7-mile hike starting from the Giant Forest. 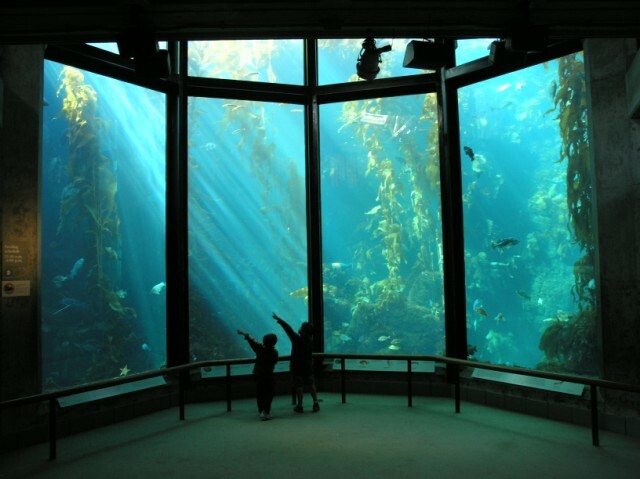 Just a few hours west of the Sequoia National Park is the Monterey Bay Aquarium. Here you can see the Pacific Ocean come alive before your eyes. Kids get a chance to be “hands on” in touch pools to discover anemones, star fish and more. As you stroll through the actual large aquarium viewing areas, there are undersea divers that communicate with visitors. There is a play area for kids called the “Splash Zone,” where they can visit ocean based displays. This could be one of the perfect choices for family vacations in California if you have a young kid. At this ocean themed park, Shamu, the Killer Whale, is the star of the show. Sitting in the “Soak Zone” where Shamu splashes you is great on a hot day. 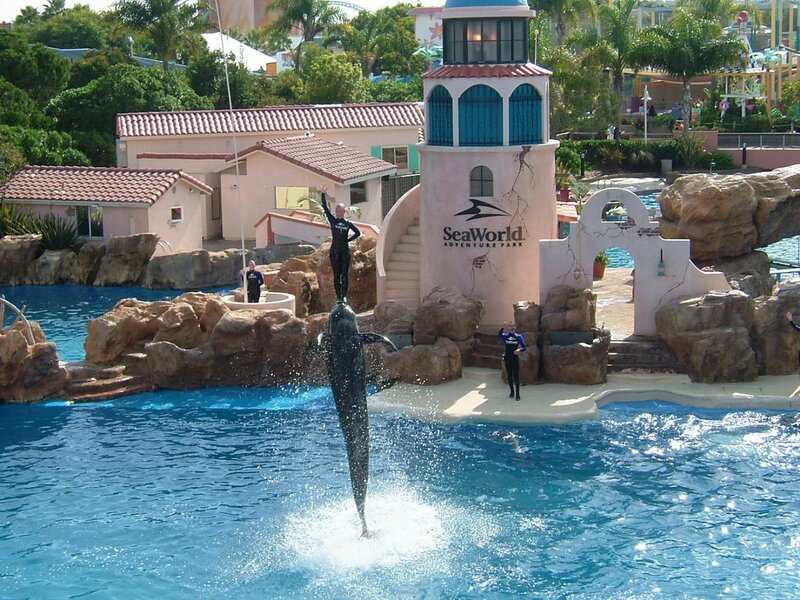 In other exhibits and shows, you can experience dolphins, manatee and penguins, and touch pools. You can even walk through the bottom of a shark-filled tank. Sea World also features rides and a helicopter simulator that takes you through an arctic research station. This impressive zoo is very large with over 3,800 animals to look at. With over 800 species, you and your kids can discover animals you have never seen before, living in their natural habitat settings. You will see 30 species of African and Asian forest creatures in Monkey Trails and Forests Tales. There is even a Children’s zoo. Children can see wombats, owls and spider monkeys. They are raised as “animal ambassadors” so kids can observe and touch them. Also, kids can visit the baby animals, and watch them being cared for. Hours of Operation: Fall/Winter/Spring–9 a.m. to 4 p.m.Summer Hours: 9 a.m. to 8 p.m. The home of California’s film industry isn’t just about movies. 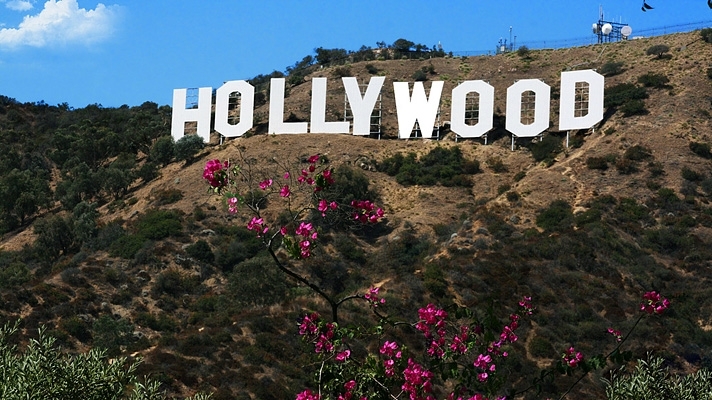 Hollywood has many attractions to excite anyone young and old. You can walk along Hollywood Boulevard and see the sidewalk stars of many famous actors. Visit the Chinese Theater where many movie premiers have been held. Take a tour of the star homes or see the fingerprints and footprints of famous people from then and now. There is a wax museum, Hard Rock Café and plenty of shopping spots. This is a “must-see” if you are in Sacramento. 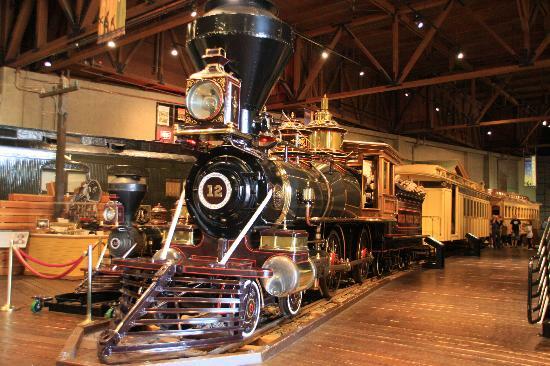 This museum hosts 20 restored railroad cars from long ago. The railroad industry helped to build the West and connect the two halves of the country. See an antique dining car, caboose, coach cars and the living quarters of railroad engineers. You can go inside the trains and explore how train travel was. They have play areas with toy trains for kids, a simulated sleeping car to experience the motion on an overnight train ride, and in spring, you can enjoy a real steam train ride. Hours of Operation: Open every day: 10 a.m. - 5 p.m.
Just a short ride northwest of Los Angeles is the quaint coastal town of Santa Barbara. 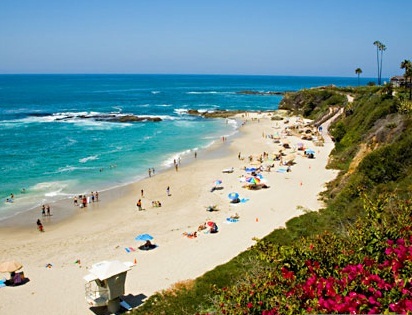 The weather is great all year and very mild, making this one of the most beautiful California beaches to visit. Because the weather is so mild, you can spend all your time lying on the beach or enjoy a bike ride. There are amazing botanical gardens to visit and plenty of shops and eateries. Santa Barbara is home to one of the oldest beach piers in the state. 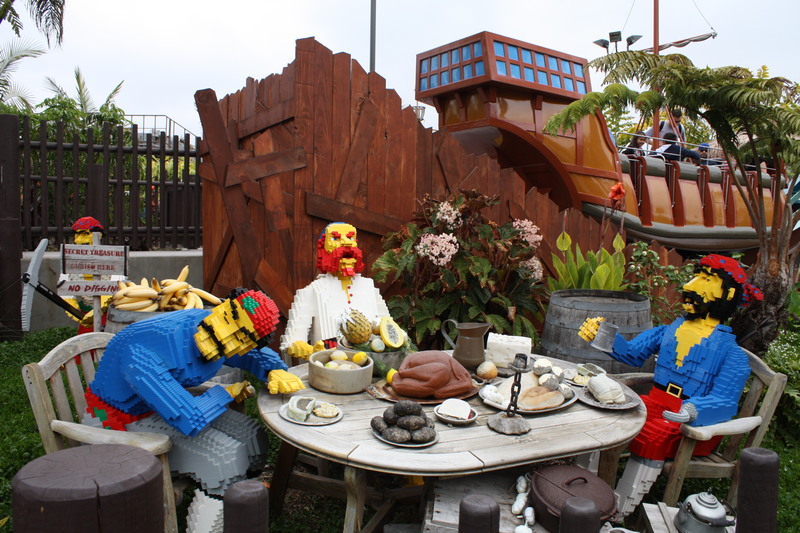 In southern California, you can visit the popular Legoland. Kids can see all their favorite Lego characters, ride Lego based rides and view scenes from around the country built out of Legos. There are Lego skyscrapers, Lego houses, Cape Canaveral and Lego Spaceships, a Lego dinosaur all built out of 20 million Legos. The park includes roller coasters and boat rides, as well as a play area called “Imagination Zone,” where kids can build anything with blocks themselves, which makes it another one of the perfect family vacations in California. 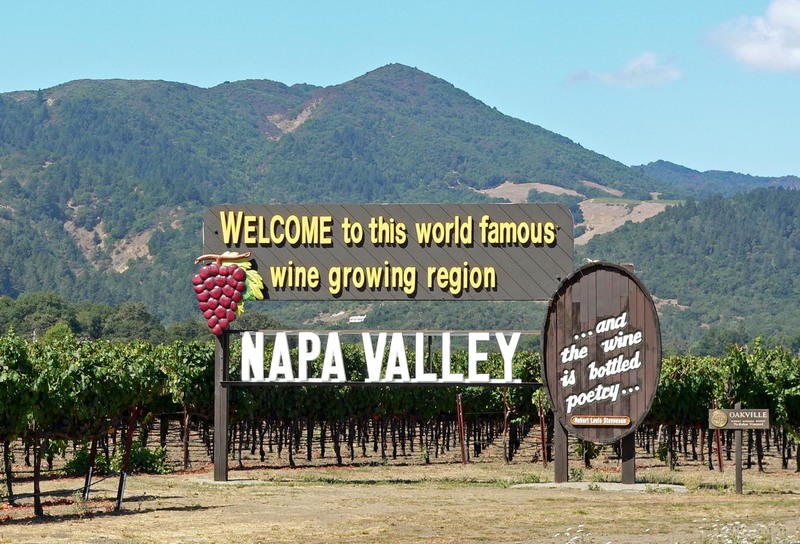 If you are near San Francisco, Napa Valley is only a short drive 50 miles north, where you can find rolling hills, vineyards, and over 600 wineries. A lot of visitors go there for the clean and fresh air, the tasted food, and the great wine for sure. Also, there are numerous bed and breakfast Inn’s in the area for a nice stay and plenty of winery tours for family.